In super simple terms, peptides are small chains of amino acids - the building blocks of the proteins within your skin. Peptides are present in every living cell and they play a crucial role in the physiological and biochemical functions of life. Peptides can have a variety of different sequences of amino acids and these various sequences can cause different results within the body. Peptides can calm inflammation, regulate the immune system, repair tissue, treat hyperpigmentation, and stimulate the growth of collagen, leading to the restructuring of the skin. What's more, some peptides can even communicate with the body's cells, telling them how to react and what to do! So it's no surprise that peptides are being used in a huge number of skincare and haircare products. The peptides found in most beauty products are usually synthetic, however there are a few brands, such as Evolve Beauty, that are now using naturally derived peptides. Palmitoyl Pentapeptide-3 (aka Matrixyl): this powerful peptide works to stimulate the production of collagen within the deeper layers of the skin. It also increases the skin's elasticity and promotes skin strength, helping the skin to heal quickly. Acetyl Hexapeptide-3: this peptide works to relax certain types of facial lines and wrinkles. When topically applied, acetyl hexapeptide-3 treats the same type of wrinkles as Botox. Copper Peptide: copper peptides work their way into the deep layers of the skin to stimulate skin regeneration, support healing, and reduce scar tissue formation. 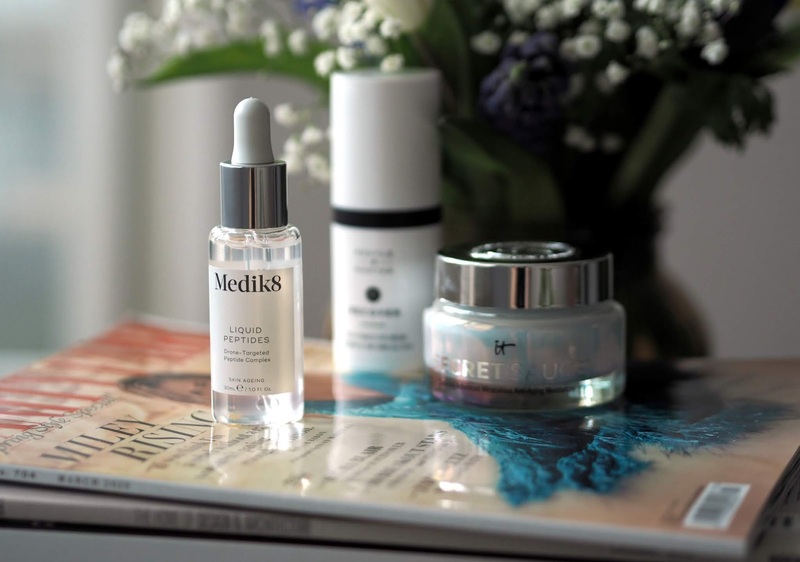 It is argued that copper peptides may slow down the signs of ageing, as they are able to limit the effects of daily wear and tear on the skin. As for peptide skincare products, one of the newest on the market is the IT Cosmetics Secret Sauce (£56 Selfridges). Like much of the IT Cosmetics skincare, this newbie was developed with the help of plastic surgeons. Secret sauce is a skin-transforming, hydrating hero that contains several impressive ingredients, including peptides (obviously), hydrolyzed collagen, hyaluronic acid, vitamin C, and licorice root extract. It is incredibly lightweight, feeling almost non-existent on the skin. It absorbs very quickly, flooding the skin with hydration as it goes, whilst also helping to reduce the appearance of find lines. After more regular use, Secret Sauce helps to reduce pigmentation and wrinkles. Thankfully, it is perfect for all skin types. 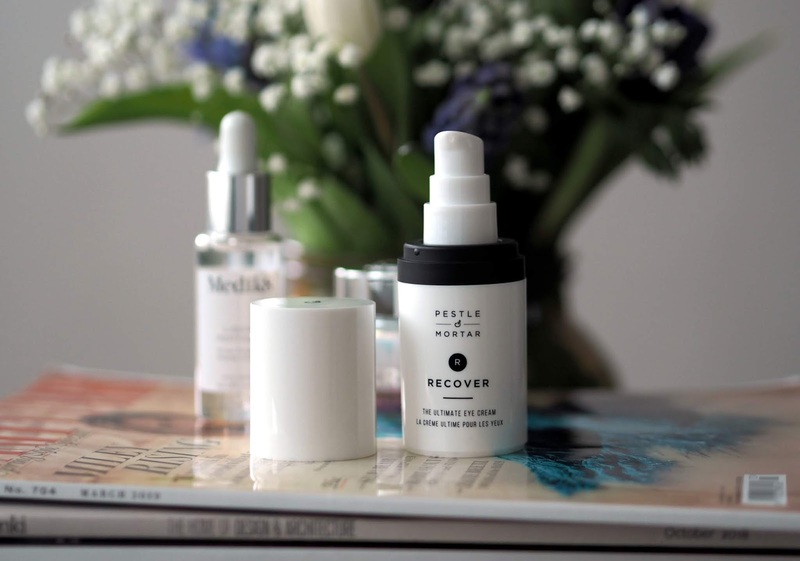 If you're looking for a peptide product for your peepers, you can't go wrong with the Pestle & Mortar Recover Eye Cream (£35 feelunique.com). Formulated with palmitoyl tripeptide-5, this weightless eye cream diminishes fine lines and improves skin texture, whilst also reducing puffiness and dark circles. Suitable for all skin types, the Recover Eye Cream nourishes and hydrates the eye area immediately and sits perfectly under makeup. For those looking for ultimate peptide power, I recommend the Medik8 Liquid Peptides (£45 skincity.co.uk). This water-based serum contains a seriously impressive 30% peptide blend that targets visible signs of skin ageing. It plumps the complexion by boosting collagen synthesis and it fights expression wrinkles by minimising muscle contractions. More impressively, Liquid Peptides uses an innovative drone-based delivery system to ensure every peptide is activated within the layer of skin that it is needed most. The complex reduces fine lines and wrinkles, boosts elasticity, and improves skin texture. It also feels lightweight and comfortable on the skin and is free of artificial fragrance.